The globes come in all sorts of different shapes and sizes and some even include drink trolleys. We’ve tried to include all basic information about each globe, but you can find full specs on Amazon. 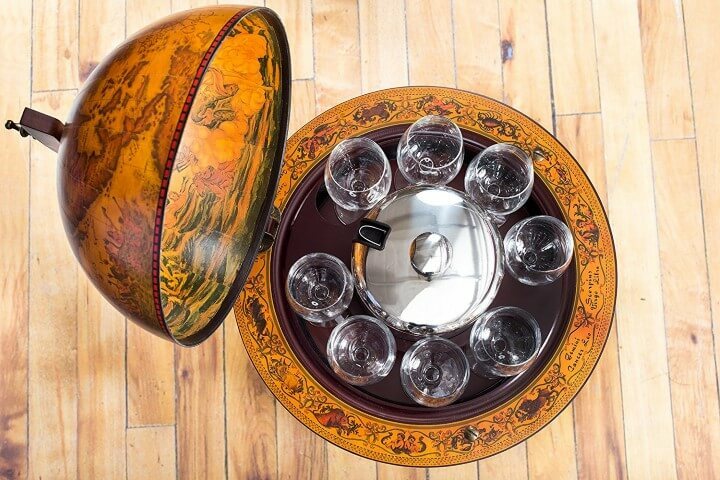 Description: The perfect liquor cabinet for a globe trotter!! Villa Medici’s 18.5 inch old world mini bar is the ideal piece of home bar furniture for sophisticated drinkers. This mobile drink cart is easily assembled with no tools necessary. Assemble your new globe bar in under 15 minutes with no stress whatsoever. All three standing wooden legs are attached to rolling castors to provide mobility and stability. 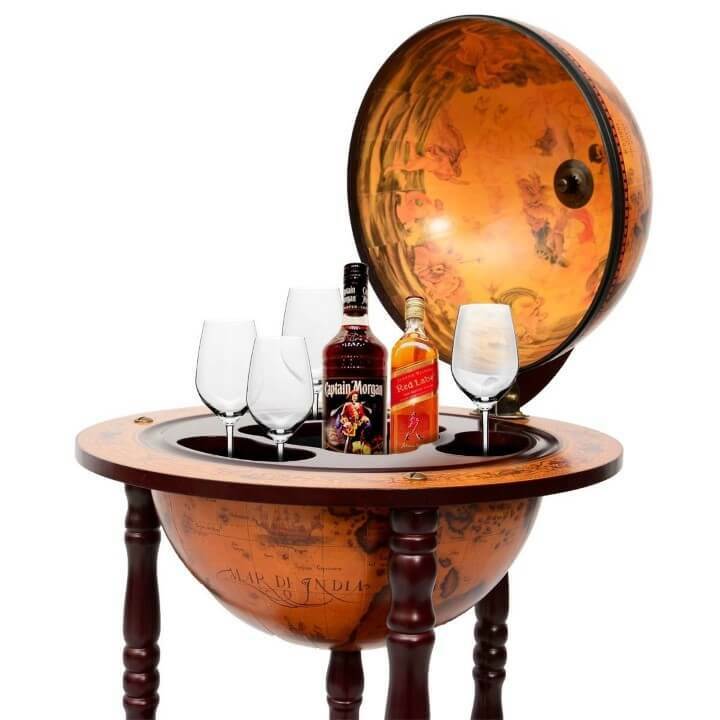 Your bar set is both safely tucked away under the fresco beneath the world globe and accessible by easily lifting the lid. 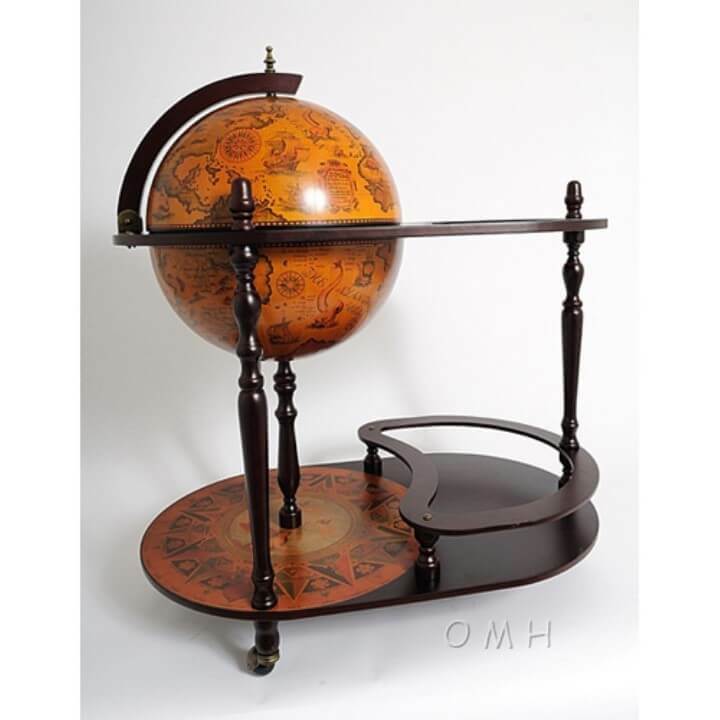 Description: Design Toscano’s wooden globe bar is masterfully crafted with quality hardwoods using the same 16th century Italian maps usually found only on true antiques. Description: Your drinks deserve more than just a cupboard! 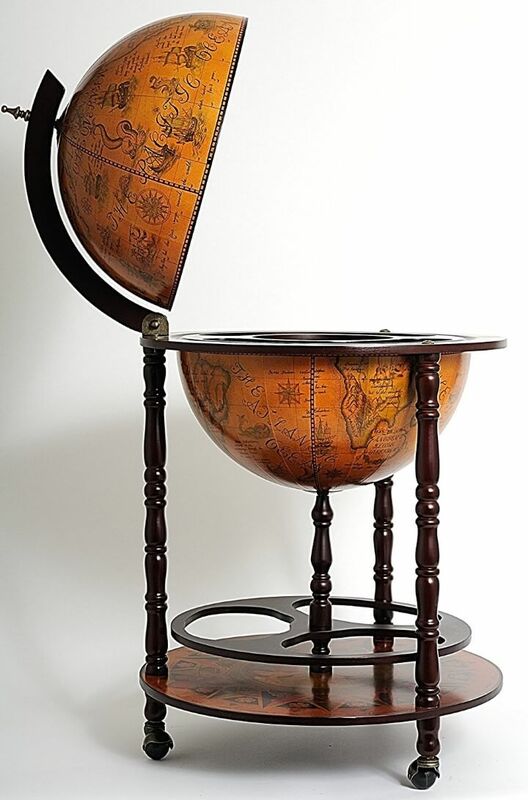 Store them in style in this classic globe drinks cabinet, bringing back old world charm and sophistication. Description: Italian-Style Globe Wine Rack, which is ideal for Storage wine bottles and glasses. Its unique outlook will bring highlights to your home and shows your lifestyle. Description: Featuring an old nautical map on its surface, the globe can be lifted to reveal the hidden drink cabinet and the highly decorated interior. Glassware and bottles can be placed at the bottom shelf as well as inside the globe. The cabinet is made of wood and painted in dark red mahogany. It comes with round carved wooden floor stands on the wheels. 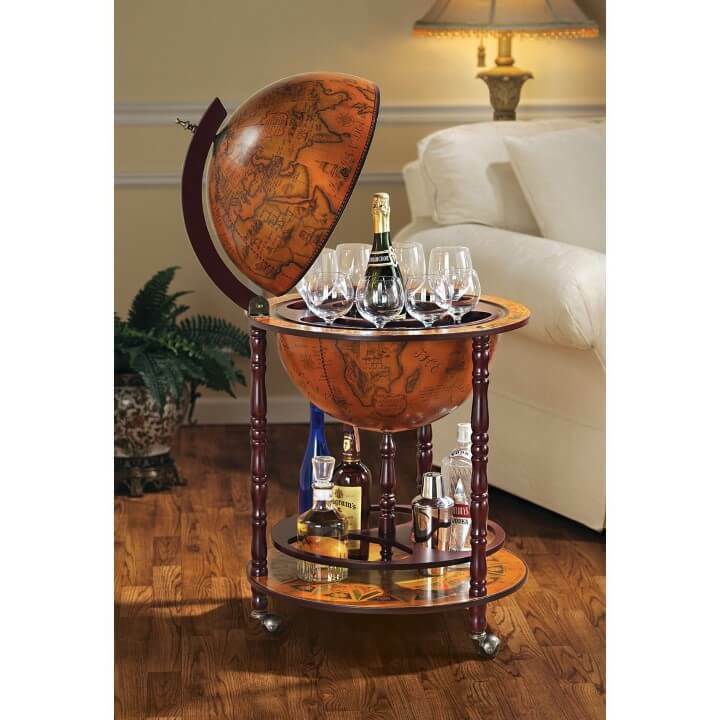 Description: Wood globe wine bar stand. 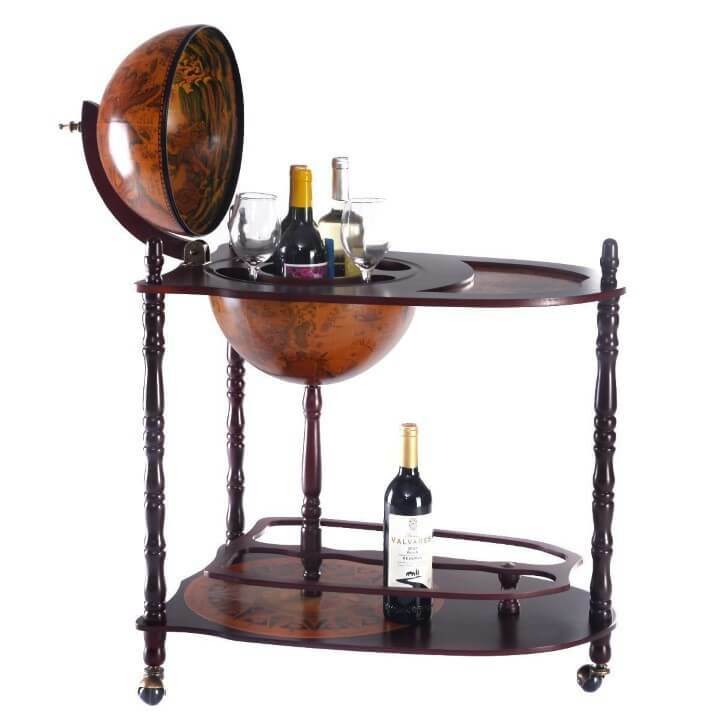 It is an Italian-Style Globe Wine Rack, which is ideal for Storage wine bottles and glasses. Its unique outlook will bring highlights to your home and shows your lifestyle. This Italian-Style Old World Globe-Style Bar depicts the natural world upon a deep wood background. The Globe Bar opens to disclose a large rotating bar with plenty of room for your favorite spirits and crystal stemware. 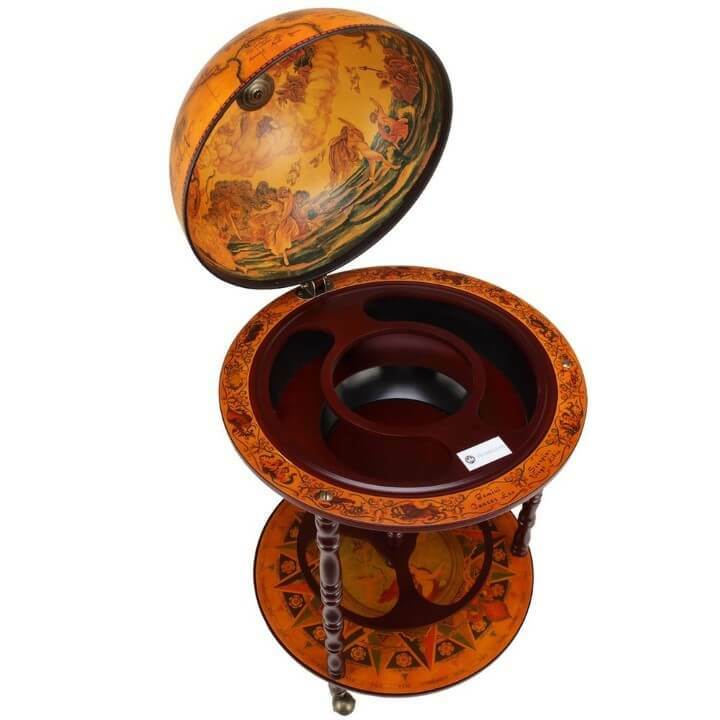 It will look superb in any formal setting, while fulfilling a useful function with style and grace! There are also extra platform next to the wood ball for you to storage. The lower shelf also add the storage space. Description: The globe liquor dispenser is an interesting drink dispenser. Put liquor in the Arctic and let it flow out in Antarctic. 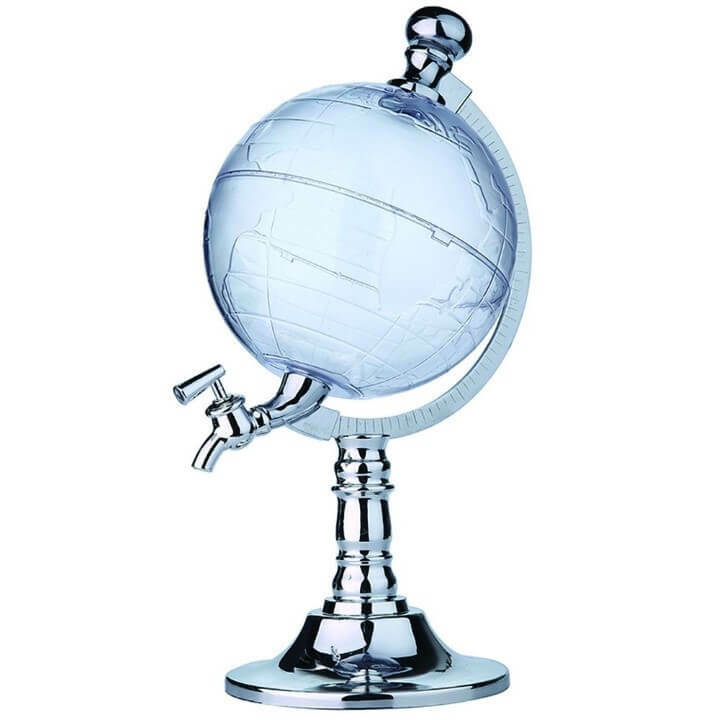 You can have the world and your drink at your fingertips with this globe beverage dispenser. The earth is not spherical, IT IS FLAT! !